Our honeymoon is booked, and the countdown has begun! Ahh how exciting. Aruba 🇦🇼 looks absolutely gorgeous! We’ve both never been, so we’re super excited! Do you have any excursions planned? Not yet! The resort is all-inclusive, so aside from doing a charter or something, we probably won’t venture too far off of it. I love ❤️ all inclusive! I know you guys are going to have a great time. That's exciting!!! I love all-inclusive resorts!!! We just got back from a vacation there and it is beautiful! I highly recommend doing a snorkel/sunset cruise with Black Pearl. Such a fantastic excursion! Also try to rent a side by side UTV to spend a day driving around the island! We were looking at Aruba. Can I ask what resort you decided on? Thanks!! Aruba is a place we're thinking of too! Congrats on that! We are getting married Sept. 28th, and leaving the 30th! Nothing wrong with enjoying the weekend and leaving that Sunday or even that Monday! We’re getting married Sept. 28th, and leaving Mon., the 30th! We’re thinking about aruba too just cause it is hurricane season 🙈🙈🙈 where are you staying ? I'm considering that resort for my honeymoon too! 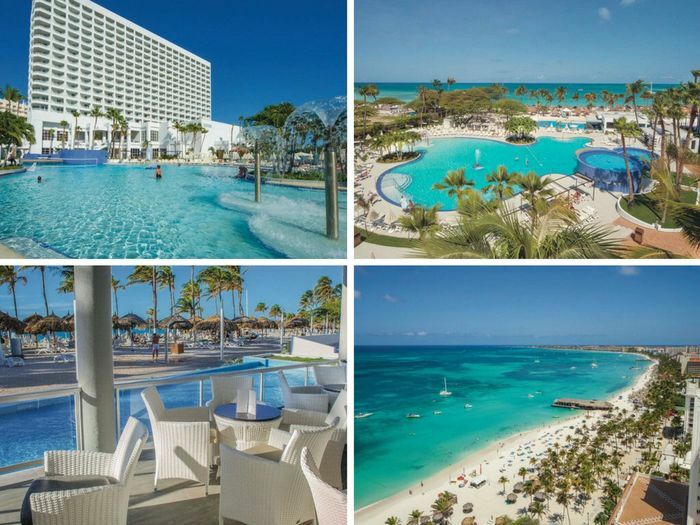 The issue with all-inclusive resorts in Aruba is there's only like, four to choose from lol.